The Royal Geographical Society (with IBG) kindly agreed to support this fieldwork investigation with an Innovative Teaching Grant. On a recent field trip to collect data we met an old couple living in an isolated part of the Blackdown Hills. They confided that without the local postmaster delivering their food shopping, they would not be able to manage in their little bungalow. Their hamlet is visited just once a week by a bus service. In the most recent parish magazine, the postmaster concerned voiced his opinion that without more support from local people he may have to close the post office. Where would this leave the old couple? How easy is it to buy fresh food in rural areas? 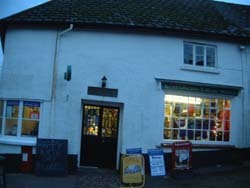 How can village shops survive? 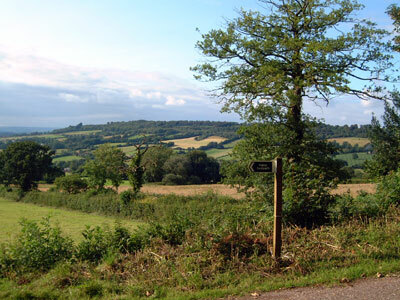 Is the Blackdown Hills a food desert? This project is to find out whether food deserts exist in the rural area of the Blackdown Hills on the Devon and Somerset border. The inspiration comes from the recent work of Hillary Shaw. His site food deserts.org details his current research in this field. Having outlined the study area, students were shown how to use a GPS device in conjunction with a PDA to accurately locate and describe food shops. A survey of all the food shops in the Blackdown Hills area was carried out and the results mapped in a GIS (Aegis 3). A major questionnaire survey was planned and undertaken, and students collated the results using Excel. Results of the questionnaire survey may be viewed here. Half of all interviewees did not live within walking distance of a food shop. This is to be expected given the rural nature of the study area, indeed the overwhelming majority owned a car. 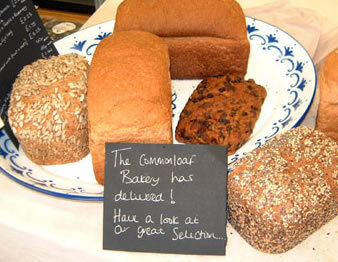 Two elderly respondents were dependent on deliveries of food from Kentisbeare post office. Most people did a main shop outside the Blackdown Hills, with the majority favouring Taunton. The Post Office at Kentisbeare sells locally produced meat. It is interesting that these local shops have been quick to exploit the growing demand for high quality regional produce. The questionnaire revealed that people do use farmers markets, mobile food vans, and farm shops, and more would do so if these facilities were accessible. Many people have access to the Internet, and broadband capability has finally reached some of the local telephone exchanges, so it will be interesting to see whether there will be a growth in online food retailing. This could be a niche worth exploiting by local shops. In conclusion, we felt that the Blackdown Hills does not really fit the criteria of a food desert. People eat healthy food available at supermarkets, local stores, farm shops and markets. Rural people need a car and the community is used to travelling long distances to buy food. Old people and those without a car do find access to food a problem. There are very few bus services and the local shops provide an essential community facility. It is crucial that small rural shops are able to succeed in order that the needs of all residents can be met. It was gratifying to note the re-opening of Cumstock village stores and post office after eighteen months of closure. The shops in the study area offer an increasingly wide choice, flexible opening hours and succeed in keeping prices fairly low.The future of small shops may be enhanced through continued diversification, and given the high uptake of Internet services in the Blackdowns, it's possible that they could capitalise on their location to collect orders online for local produce, or act as "last mile deliverers" as suggested by Hillary shaw. Not convinced about the concept of food deserts. This article may suit you!